NEW YORK (Reuters) - Former NFL quarterback Colin Kaepernick, who sparked controversy by kneeling during the national anthem to protest racial injustice, will be the face of a Nike Inc ad campaign for the 30th anniversary of its “Just Do It” motto, according to ESPN on Monday. Kaepernick was a quarterback with the San Francisco 49ers for six years. He stirred national debate by taking a knee while the anthem was played before games during the National Football League’s 2016 season to draw attention to police killings of black men and other issues. 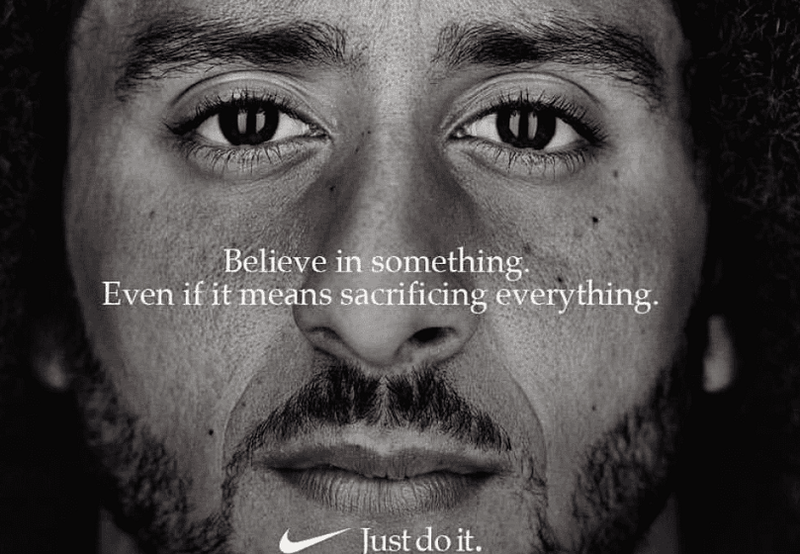 I don't care much what the backstory is on all of this: My hat is off to both Kaepernick and Nike. Kaepernick's is an America I prefer to vote for. Collateral damage and all ... go Kaepernick! PS. Here's a little of the knee-jerk negative reaction. I am one of those folks that have never been well served by Nike’s sneakers. No matter whose face has endorsed Nike, Nike sneakers never fit me properly. I’m pretty much a loyal New Balance customer. I’ve heard that another company is now selling wide width sneakers. I’d prefer that Nike actually denounce Trump’s policies and pronouncements directly, but if this is the way one company chooses to stomp on Putin’s Orange Tasmanian Devil, so be it. may we paddle your kids?